Peter Ingram is the President and Chief Executive Officer for both Hawaiian Airlines, Inc., and its parent company, Hawaiian Holdings, Inc.
Ingram joined Hawaiian as Chief Financial Officer in November 2005 and served as Executive Vice President and Chief Commercial Officer from November 2011 through February 2018. 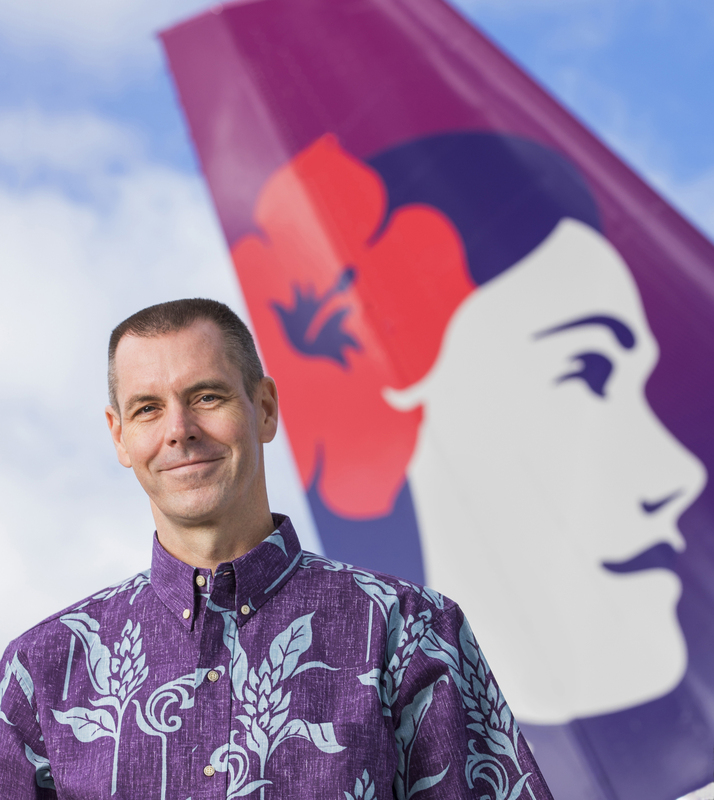 During his tenure at the company, Hawaiian Airlines has been one of the most financially successful U.S. carriers, solidified its position as the nation’s leader for operational performance, and delivered the highest levels of customer service. Since 2010, the 89-year-old destination airline has diversified its business by aggressively expanding in the Asia Pacific region. New services between Honolulu and Tokyo, Osaka and Sapporo, Japan; Seoul, South Korea; Brisbane, Australia; Auckland, New Zealand; and Beijing, China complement the carrier’s robust inter-island and North America network. Prior to joining Hawaiian Airlines, Ingram spent 11 years with AMR Corporation, parent company of American Airlines and American Eagle Airlines. From 2002 to 2005, he served as Vice President of Finance and Chief Financial Officer for American Eagle Airlines, after eight years in finance-related management positions for American Airlines. Ingram earned his MBA from Duke University’s Fuqua School of Business and graduated with honors from the University of Western Ontario. He was born in April 1966.